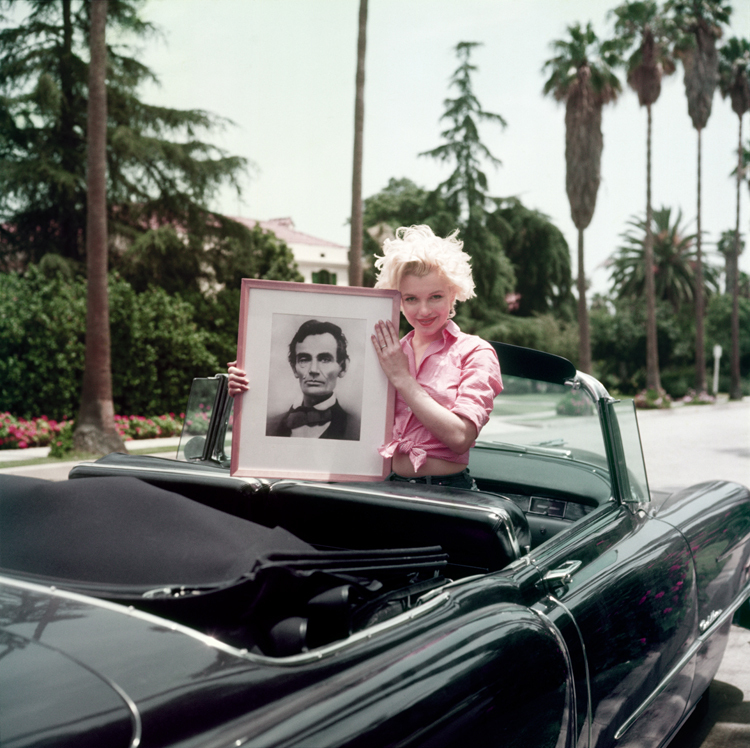 On a Los Angeles street in 1954, Milton H. Greene took this image of Marilyn in a red checkered shirt posing in a brand new Cadillac holding a portrait of one of her heroes, Abraham Lincoln. The car was given to her by Jack Benny for appearing on his television show and it took only a phone call by Benny to the Cadillac Corporation, one of his sponsors. One sunny day Marilyn asked Amy Greene, Milton's wife to go for a drive in her Cadillac. Being too cold, Amy refused and Marilyn excitedly showed off a trick she had learned. Just turn on the heat! Marilyn exclaimed to which Amy replied, "Brilliant!